The film occasionally stumbles but its magnetic star firmly holds it all together. (SPOT.ph) To the untrained eye, it's hard to imagine Old Hollywood beyond anything than its glamorous, larger-than-life stars or classic, black-and-white films. 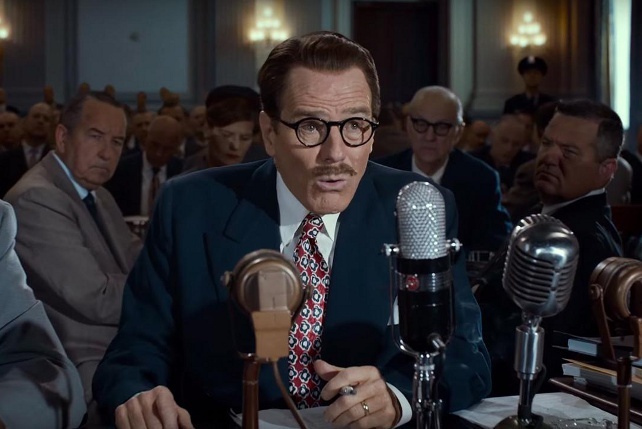 And so the Oscar-nominated film, Trumbo, quickly becomes an informative biopic of a time when Tinseltown quaked in fear of the Communist Party. 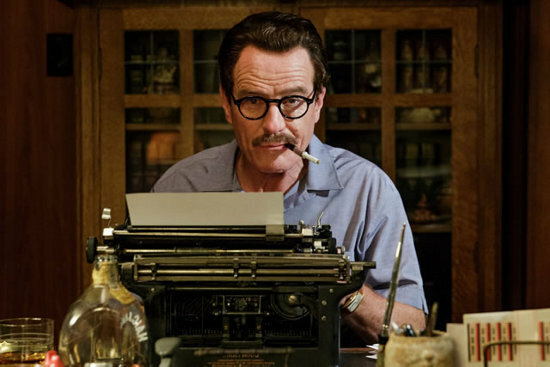 It's 1947 and prolific screenwriter Dalton Trumbo (Bryan Cranston) is one of Hollywood's most well-paid and in-demand writers for film. The acerbic writer is also one of the most outspoken members of the Communist Party, leading rallies that called for labor rights and distributing flyers about their cause. He soon earns the ire of right-wing figures, like Los Angeles Times columnist Hedda Hopper (a deliciously fantastic Helen Mirren). Suddenly, Trumbo and nine other prominent writers and directors are called before the House Un-American Activities Committee where they are asked to name other "commies" in Hollywood. They are eventually held in contempt and are thrown in jail. Trumbo is later released from prison, only to be blacklisted from working. Still, the defiant screenwriter retreats to his tub with a whiskey in hand, furiously churning out B-movies under a different name. Along the way, he pens screenplays for familiar films like Roman Holiday in 1953 and The Brave One in 1956—for which he has to watch other people claim his coveted gold statue at the Academy Awards. He eventually finds redemption when he is finally given credit for writing Stanley Kubrick's Spartacus and Otto Preminger's Exodus, both released in 1960. It's a fairly straightforward narrative, dipping into Hollywood's lesser-known history with splices of cameos from actors playing...well, actors of the time. David James Elliot plays actor and staunch right-wing figure John Wayne, Dean O'Gorman is a dead ringer for Spartacus star Kirk Douglas, and John Goodman plays B-movie producer Frank King. The film also makes excellent use of archived footage of yesteryear (some real and others shot for the film) to recreate a fully realized setting. Despite its star-studded cast, much of the focus falls onto its titular character and his quest to shatter the blacklist. Cranston, who is so often shrouded in cigarette smoke, delivers a towering performance, deftly switching between witty retorts and self-indulgent, conceited speeches. His most sobering moment is in prison, when the immensely cultured and wealthy Trumbo is told to strip down to nothing. "Spread your cheeks," the guard orders and he is heartbreakingly stoic in the face of humiliation. Although the deterioration of his marriage plays a large part in the film's narrative, Diane Lane, who plays his concerned and long-suffering wife, Cleo, is given little to work with. The same holds true for the rest of the characters, who are all delegated to simply revolving around Trumbo's story. Its script by John McNamara walks the line between serious and occasionally funny, though never hitting the right tone. Unfortunately, the work of director Jay Roach (whose credentials include comedies like Meet the Parents and Austin Powers) is simple and decidedly unextraordinary, more befitting of a smaller screen. Any of the film's depth thus falls into the capable hands of Cranston, who carries the film from start to finish. It's a shame that much of the film's fascinating history is relegated to a few sentences at the opening and ending credits. 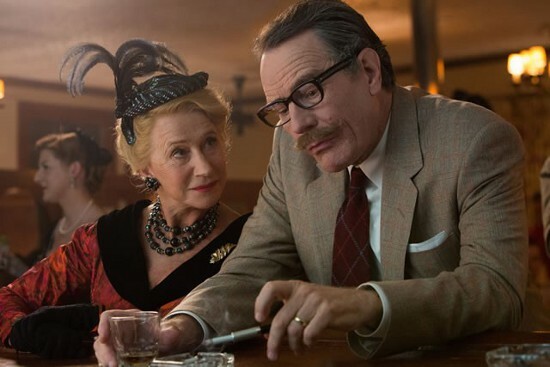 Had it delved deeper or further explored its context, Trumbo would have delivered a story befitting its glitzy time period and central character. Trumbo is now showing in theaters.